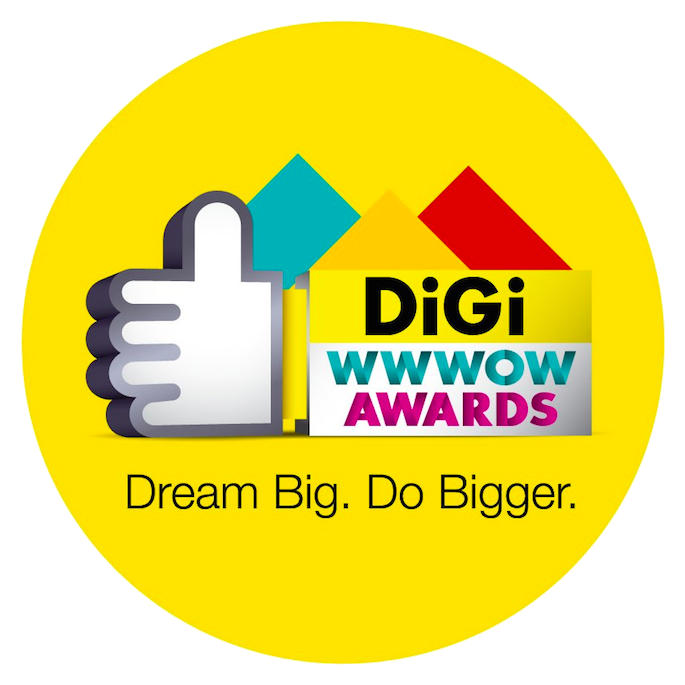 Beauty, Travel & Lifestyle - theChency's Diary : Digi WWWOW Award 2015 is back! Accidentally drooling around on internet and saw Digi WWWOW Awards 2015 is finally back! Yay! This is an award that I actively support for many years, by deliver my votes to nominate blogger friends and those who deserve to be label. What special in this year? This time round, there will be cash prizes of RM10,000 in each category up for grabs. What is DIGI WWWOW Awards? Digi WWWOW Awards is the Malaysia's only Internet for All Awards based on 100% user-generated entries in search for influence, talented and enterprising Malaysians who make the Internet awesome and give them the recognition and help them to take their work to the whole new level. If I join, I think I will participate in Independent Publishers, which sounds more interesting and suits my field as a blogger. Each category winner will get RM10,00 cash and they will have the opportunity to spend the day with industry experts like TMT (The Ming Thing), Mob Me Asia, Sizmek, KFIT, Zalora and more, to take their products and services to the next level. Industry leaders will also share their personal insights and opinions on the best practices, dos and don'ts and all that brought them to achieve success; winner will be wow-ed by the case studies shared. From digital medial, e-commerce to content development, be ready to embrace this exclusive and impact-ful eye-opening experience. If you or your friend would like to showcase and taking the ideas further to inspiring peoples, then you should participate or nominate your friend! You or your friend deserved to be label. Submit your entry, or nominate your friends who you think deserve to win! JOIN HERE. You will be asked to fill in personal details, describe your work and attach related portfolio or case studies. The submission date and nomination will end on 12 October 2015. Then you can vote for the People’s Choice Award from 19 till 30 October 2015. 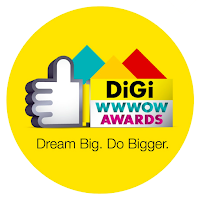 The Digi WWWOW Awards night and winner announcement will be on 20th November 2015. Are you the next Internet hero?"